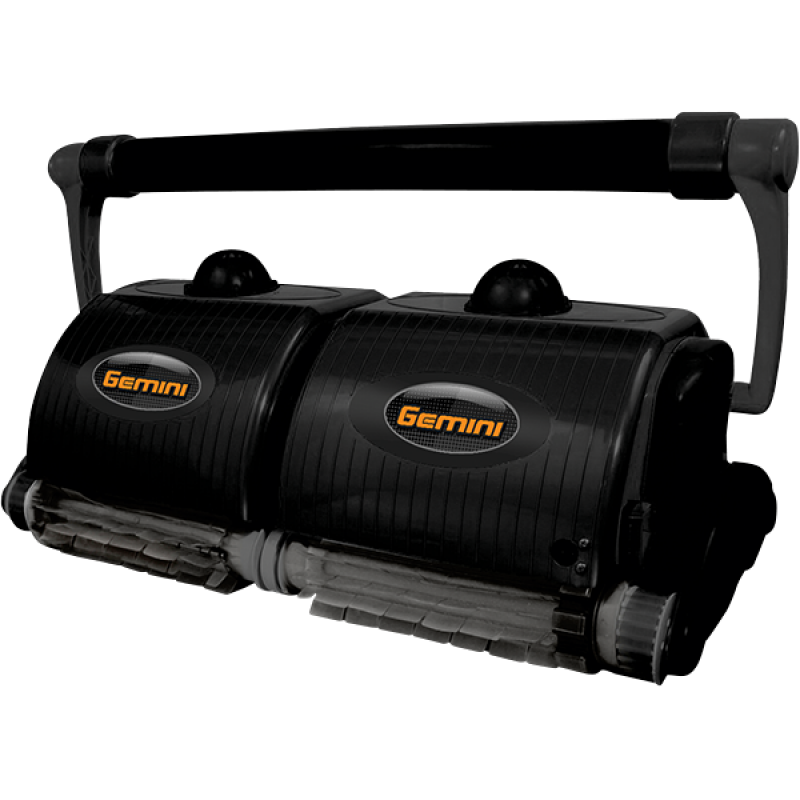 The exciting new Gemini is designed to clean semi-Olympic and Olympic swimming pools and is fully automatic and completely self-contained. The exciting new Gemini is designed to clean semi-Olympic and Olympic swimming pools and is fully automatic and completely self-contained. This cleaner utilizes the Aqua Smart System and is able to calculate the size of the pool and program itself to clean in 4 hours or less. Comes complete with infrared for changing directions as needed, 120' power cord and step-down transformer. Should your facility have special cleaning needs such as bulkheads, disability access equipment, highly polished tile walls or beach style wave pools, the Gemini can be factory equipped with a variety of options for meeting those needs. The GEMINI model has been designed for sophisticated and reliable pool cleaning with its newest, most up-to-date technology. The AQUA SMART SYSTEM is an intelligent program that enables the cleaner to fully cover and efficiently clean any standard commercial swimming pool in approximately 4 hours. Equipped with an infrared eye system to signal the brain of the cleaner to change direction as needed, should your facility present special cleaning situations like bulkheads, handicap ramps, highly polished tile pool walls or beach style wave pools. The new outer casings are manufactured with high quality plastics that will ensure maximum protection against the adverse pool elements. The Gemini runs off of low voltage (24 volts DC), which will maximize safety and minimize power usage. This vacuum is GS and CE approved. This cleaner is fully automatic and completely self-contained. No messy hoses or filter hook-ups are necessary. The floating cable is 150ft. and requires NO installation. PVA brushes that are sure to allow the Gemini climb any surface without trouble, including tile! Four-way Radio Remote control system for spot cleaning. Two high powered pump motors making the Gemini capable to pump 15,840 gallons of water per hour. 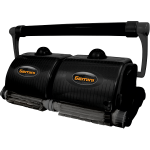 Two maximum capacity filter bags to maximize cleaning capabilities. Dimensions 30" X 16.5" X 13"
Weight (w/o cables) 16.5 Kg. or 36.3 lbs. Shipping Dimensions 35" X 20.5" X 20.5"